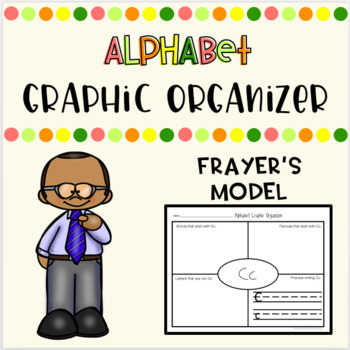 Alphabet Graphic Organizer, using the Frayer Model. 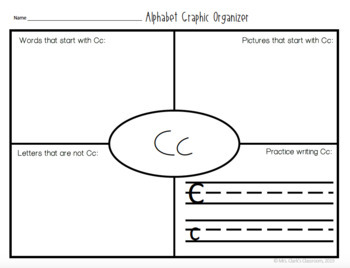 Each page has the letter in the center with four categories for each letter. - Handwriting practice for the letter. <a title="Alphabet Picture Cards" href="https://www.teacherspayteachers.com/Product/Alphabet-Picture-Cards-4275378">Alphabet Picture Cards</a> to use in conjunction with this product.